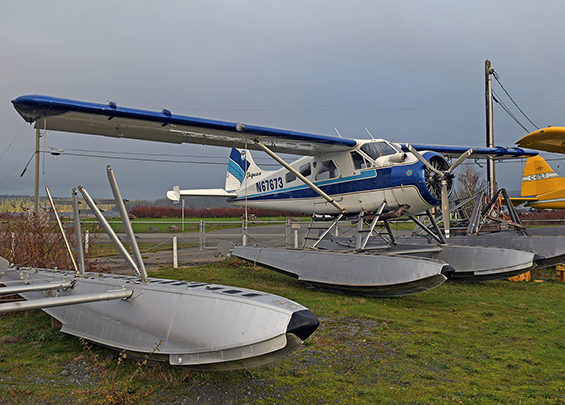 N67673 waiting outside on the Tyee Spit. 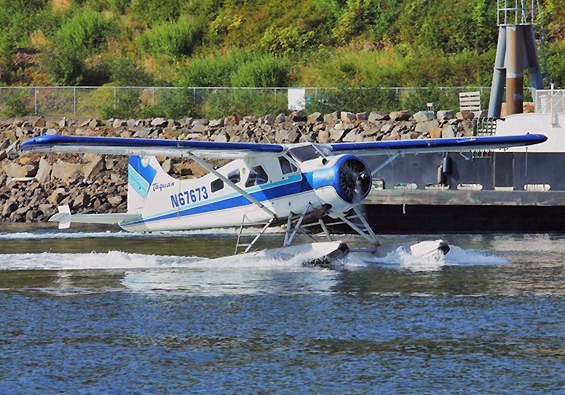 N67673 caught in motion at Ketchikan. N67673 over Misty Fjord region. N67673 always a very busy spot. 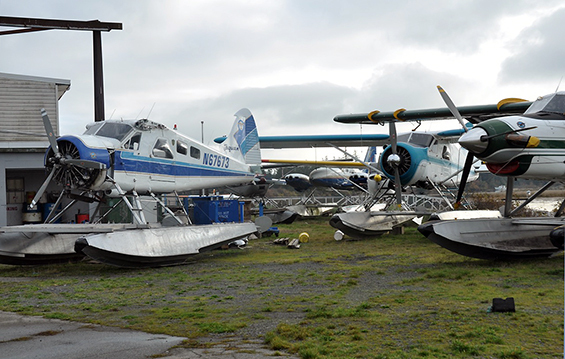 N67673 at a wet Ketchikan dock. 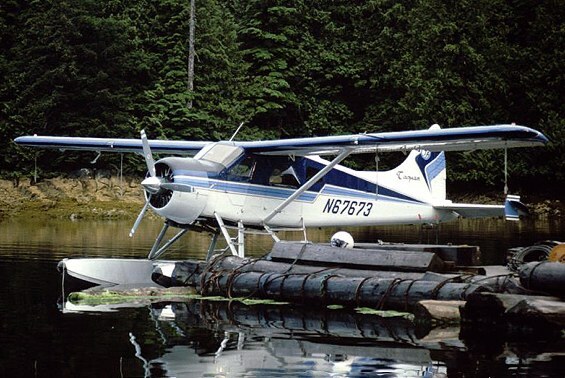 N67673 at a logging camp dock near Ketchikan. 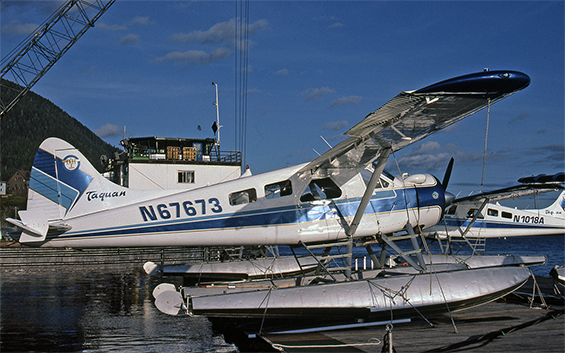 N67673 tied to ramp at Ketchikan. N67673 at Lewiston, Idaho, before conversion. • 57-2586 US Army # 1846. 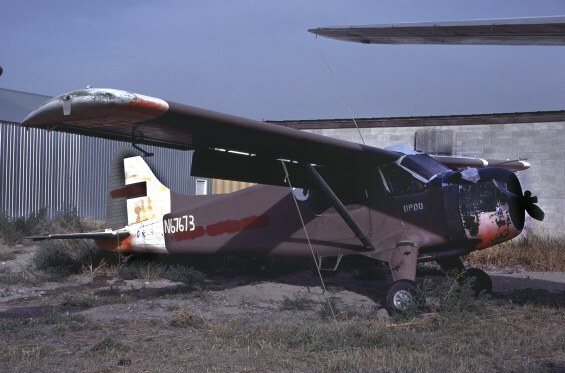 L-20 No. 847. Command A-13. Delivered 25-Nov-1958. 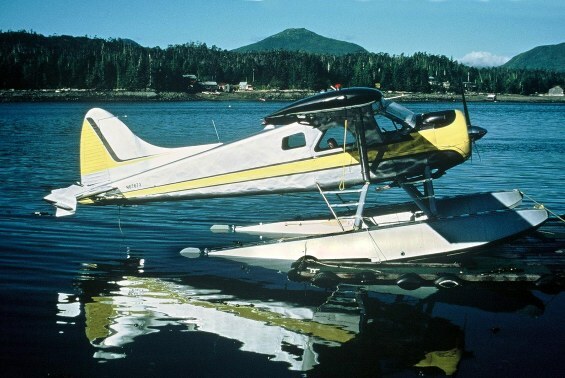 Built as L-20A and re-designated U-6A in 1962. • 57-2586 Stored at MASDC., Davis Monthan AFB., AZ. 28-Mar-1972 to 06-Feb-1976. PCN (Product Control Number) HS141. Note: Purchased by Hillcrest at the Davis Monthan auction sale on 29-Jan-1976 for $25,000US. Sold as “providing a reasonable potential for normal Certification”. Total time 7,007.7 hours., engine 7,878.7 hours. Comment at sale included: 1104 Right strut, average condition. 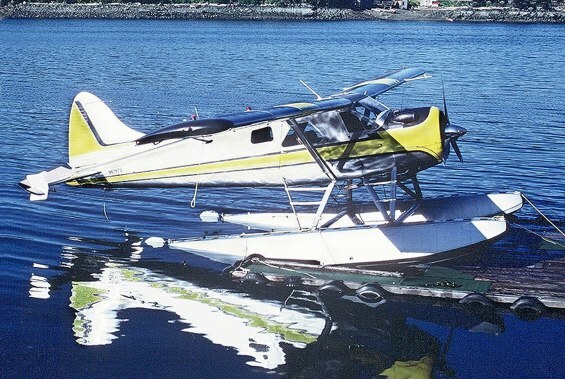 • N67673 Hillcrest Aircraft, Lewiston, ID. Regd Feb-1976. 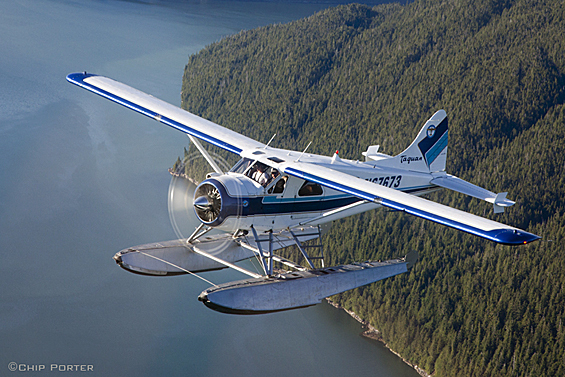 Airworthiness date: 21-Jul-1981. Category – Normal. 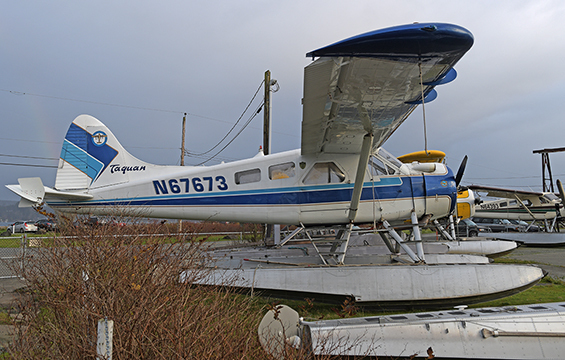 • N67673 Taquan Air Service Inc., Ketchikan (Shown as Metakatka), AK., AK. Regd 18-Nov-1983. Canx 12-Oct-1992 & 09-Jul-2000. 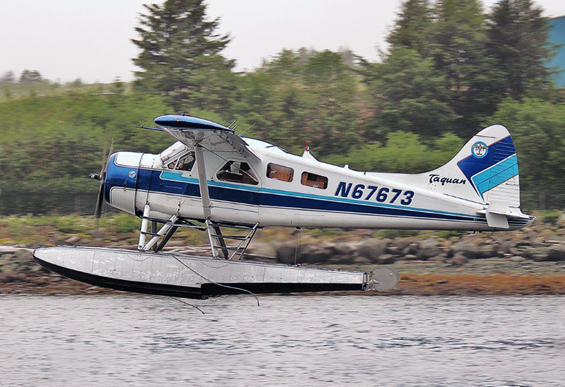 • N67673 S & S Aircraft Leasing Inc., Ketchikan, AK. Regd 19-Jul-2000. 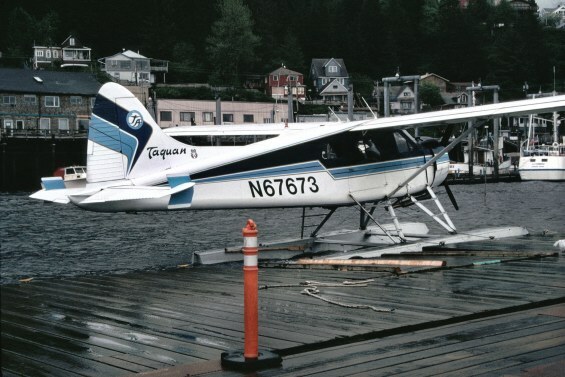 Operating as Taquan Air Service.